Achieve brilliant results in minutes, avoiding hours of applying traditional waxes. 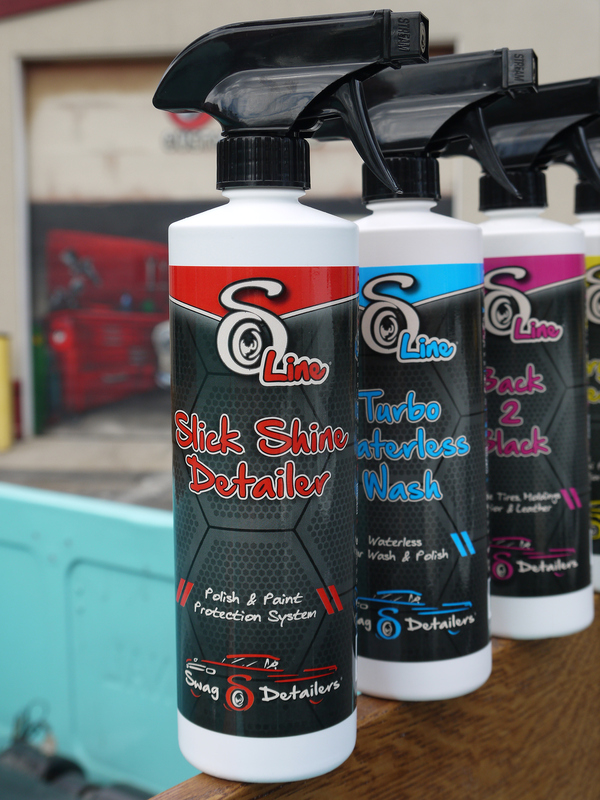 Slick Shine Detailer’s simple spray on/wipe in technology will outshine, outlast, and protect your vehicle surface far longer than wax. Will not shift in heat or micro crack in cold like wax does. The super surface slickness aids in repelling bugs, road debris, and tar. It bonds to the surface creating a detergent resistant slick coating with a brilliant shine. Added anti static properties continue to repel road dust for extended periods of time. 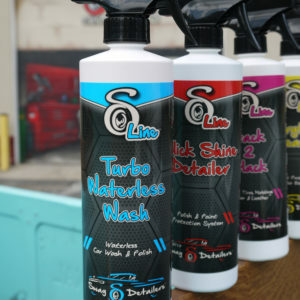 Slick Shine Detailer – A New Polymer Polish & Paint Protection Technology. 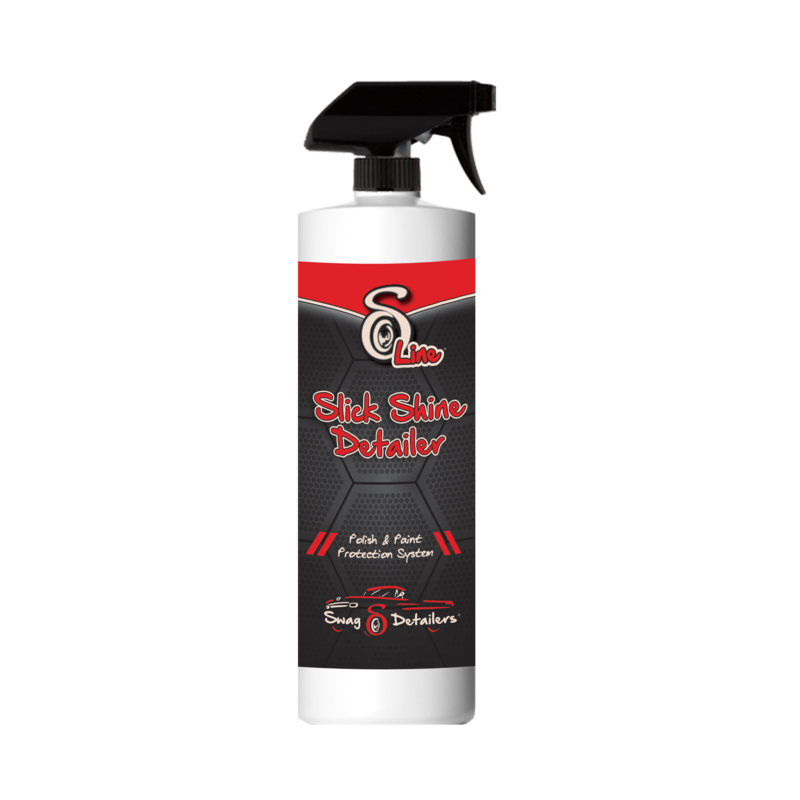 When used to treat a cleaned car Slick Shine Detailer immediately shows an extreme brilliant shine while the new Reactive Polymer Technology begins to cure providing a longer lasting, protective, slick, detergent resistant coating and brilliant shine. It continues curing and hardening over the next 24 hours. Added antistatic properties continue to repel road dust. Did you know, after a rain shower, when the sun comes out, the water droplets standing on the surface act like a miniature magnifying glass bringing intense heat to each area until they dry? 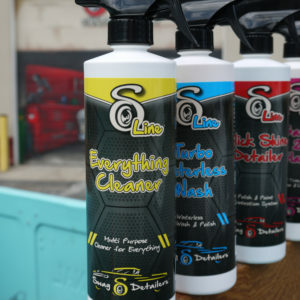 Slick Shine Detailer will protect your cars surface and produce a shine that you simply will not believe. • Allows unprecedented long term shine, durability, and sealant. Needed: 2 microfiber towels each folded twice. For use on a clean surface. 1. 1-2 sprays on a dry microfiber towel. 2. Rub towel over area to be treated. 3. 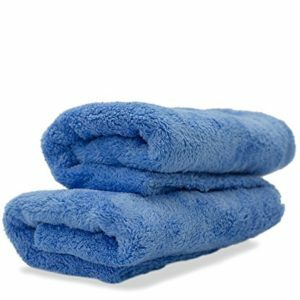 Use another clean & dry microfiber towel to rub/buff area for a few seconds until you feel the slickness and see the shine. 4. Repeat steps until entire car is done. This detailer is unbelievable. Water beads right off. Definitely recommend.